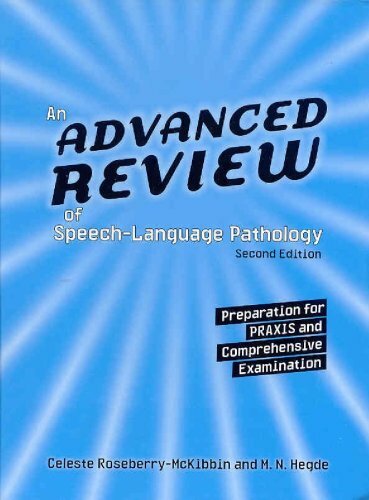 An Advanced Review of Speech-Language Pathology, Second Edition is tailor made for speech-language pathology students preparing to take departmental comprehensive examinations as well as the Praxis Examination in Speech-Language Pathology. In addition, this inclusive book is a terrific teaching tool for university faculty---offering preview outlines, brief introductions, and summaries. Each chapter concludes with test questions in essay and multiple-choice formats. Practitioners will find this book to be an outstanding reference text. If you have any questions about this product by Example Product Brand, contact us by completing and submitting the form below. If you are looking for a specif part number, please include it with your message.